“Woody: Buzz, you’ve got wings! You glow in the dark! You talk! Your helmet does that, that… *whoosh* thing! You are a cool toy! What do I mean by that? I invite you to join me to the Creativity, Inc‘s book summary. My promise? To quench your thirst for information, to give you access to great nuggets (visual quotes from the book) and still leave you wanting for some more. A door was left open and amazing stories are coming out from a creative world born to bring to life the most beloved animated characters. It’s time to see Pixar’s stories from a different side and by standing much closer than you’ve ever imagined. No cinemas, no 3D, no popcorn or children laughing in the background (unless you have children laughing in the background). And also, this time, there is no peaking. Not at all. Ed Catmull and his assistance Amy Wallace are sharing the business story that stands behind the successful brand for animated movies: Pixar. 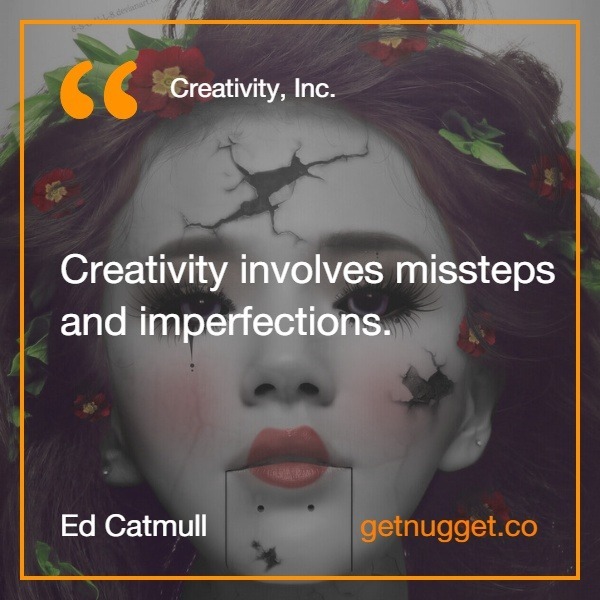 CREATIVE CULTURE / CREATIVITY INC.
Creativity involves missteps and imperfections. I was thankful that a book like this was born. Thankful to Ed Camull, especially. But, if he’s the author, what about Ed Catmull? If you know what Pixar is, you can say that you almost know some things about Ed Catmull. On his business card, it may be written: co-founder (with Steve Jobs and John Lasseter) of Pixar Animation Studios and president of Pixar Animation and Disney Animation. But what stands behind this achievements? A Ph.D. in computer science from the University of Utah and five Academy Awards, including the Gordon E. Sawyer Award for lifetime achievement in the field of computer graphics. Creativity, Inc. is written for those kinds of managers who are more interested to be called leaders than bosses and want a strong and motivated team. This book is also for those that are tirelessly seeking for originality in business, in their job, in their ideas. And for those that cannot stop their curiosity to find out what stands behind great things and how these can be made possible again. Few great things were built in 7 days. It usually takes time, patience and courage to dream of something big. Before becoming successful, Ed Catmull dreamed by looking at a star and he strived to find the way to get closer to it. Walt Disney was his star that he looked up to all the time and his dream was to make the first computer-animated movie. In 1995 Toy Story was released and Ed Catmull proved that it was a dream worth following. The success ingredient: money? great ideas? right employees? Storytelling power as an engine of creativity and Braintrust. Because behind this stands more than a good idea. There stand great people ready to turn an idea into a great story. Humanized leadership. And by that, he means to be more human than a leader. He thinks that it’s the leader’s responsibility to support healthy habits, encourage the employees to have fulfilling lives outside of work and helping them to achieve the balance. Creativity Inc. is a journey in 4 parts that begins at Kilometer 0 and ends with the silver lining. As any beginning, in the first place, you will be able to find out how all got started, how Pixar was born, how it was baptized and given to the world. How first decisions were made and first expectations designed. MY FIRST ORDER of business as Pixar’s president was to find and hire good people, a core staff that could help us begin to address our inadequacies. What comes next may seem at the first sight more as wordplay. Honesty or candor? Fearful or fearless to failure and misfires? If you are looking for Pixar’s movies backstage stories about failures, challenges and momentary troubles – the second part is the right place for it. All the time in my work, I see people resist and reject failure and try mightily to avoid it, because regardless of what we say, mistakes feel embarrassing. There is a visceral reaction to failure: It hurts. What happened next? How everything that was built survived this great challenge? Only one way to find out: search for some clues in our nuggets and read the book from the very first page to the last one. Creativity is the force that drives humanity to innovate, design and create new things, never seen before. But how can we develop it and extract the best from it? Creativity Inc. presents the ideas behind the author, Ed Catmull, owner of one of the most creative film studios in the world: Pixar. The author tells of his success trajectory within Pixar and shows what are the essential ingredients to achieve it. Creativity Inc. is a book for anyone who wants to reach new heights, a manual to develop creativity and originality and an access to the mind of the creator of Pixar Studios. A book on how to build and develop a culture of creativity and also a collection of ideas on how to awaken and maintain your and your team’s creativity and overcome the problems arising from the lack of it. As a child, Catmull had great admiration for Walt Disney and for those who worked creating handmade animations. He watched the Wonderful World of Disney to see the ideas behind the scenes and how Disney created its innovative animation productions. Fascinated by that universe, he began to think: if these things are possible using analog methods, what would be possible with the help of a computer? So the unprecedented idea of computer animation was planted in the mind of young Ed Catmull and remained with him during his time at the University. Catmull’s abilities helped him get several job offers after university, but he finally settled into a job at the New York Institute of Technology where he would work on developing the types of graphics and animations that computers were able to do. His work caused him to be noticed by Lucasfilm’s film director George Lucas, who hired Catmull in 1979 to lead Lucasfilm’s new computer division. At Lucasfilm, Catmull worked on new special effects such as blue screens, powerful graphics rendering programs, and a special computer known as ‘Pixar Image Computer’ that allows filmmakers to combine live-action footage with computer-generated special effects. His team thrived, and in 1983 a former Disney animator named John Lasseter joined them. Over time, Ed began to feel that his dream of creating a fully computer-animated film was not shared by George Lucas. That made him and his team look for investors who could help them separate from Lucasfilm and start their own business. In 1985, Steve Jobs, owner of Apple Computers, wanted to invest in them. But the process was delayed, as Jobs was removed from the Apple board for a while. Finally, in early 1986, Jobs bought the Catmull team and his work, and Pixar was born as an independent company. 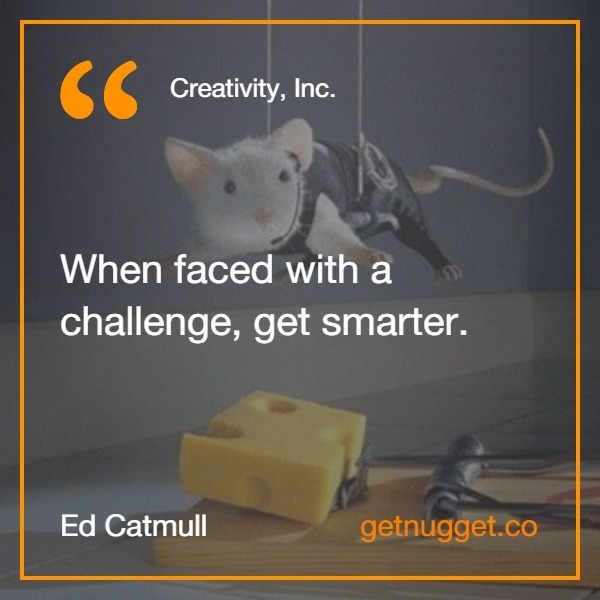 Ed Catmull learned many important lessons about how to develop a culture of creativity in his company. The Pixar culture has its roots in the University of Utah, where author Ed Catmull studied physics and computer science. There, he learned that in a right environment, freedom creates creativity. The work environment there promoted self-expression and autonomy, allowing people to work at their own pace as long as things were completed. That allowed people to create and design whatever they want, and many collaborations grew reaching far more than other forced partnerships. This freedom was great at the university, but it did not fit the Lucasfilm environment, where specific effects had to be created within a tight deadline. There, too much freedom meant that the team had no focus and the pace should be enough to meet the deadlines. Catmull also learned that it is important to identify problems and that it was even more critical to fix them. From his days in Lucasfilm onwards, he learned to direct efforts to locate and remove his team’s creativity obstacles. In these experiments, it was sometimes discovered that the problem came from management and the best thing to do, then, was simply to get management out of the creative process. Catmull’s experience also taught him the importance of having a purpose. For a creative person, a clear purpose may inspire them to move toward innovations and new solutions to achieve their goals – but without it, creativity disappears. Catmull discovered this in 1995, early in the life of Pixar. That year, the company launched Toy Story, a fully computer-animated feature-length film starring famous actors and screened in theaters across the United States. The film was a great success but left Catmull feeling empty. Now that he had achieved his goal, what was left to do? With all these lessons to consider, Catmull has found a new goal: to make Pixar a pillar of creative art, finding and removing any problem on the road to greatness. The first step in dealing with a problem is to find it – a task that is easier said than done. Our minds perceive how we think things should be, but it makes it difficult for us to detect any problem that does not directly challenge our ideas. So it’s hard to recognize new, more efficient processes. Additionally, as we become more rigid about what we believe about our environment, our mind becomes less flexible, disrupting our ability to consider alternatives. There are eight techniques that can help you expand your vision by finding problems that you would not normally be able to see. Collaborating with problems causes everyone on your team to work together, allowing them to share perspectives they normally would not have. 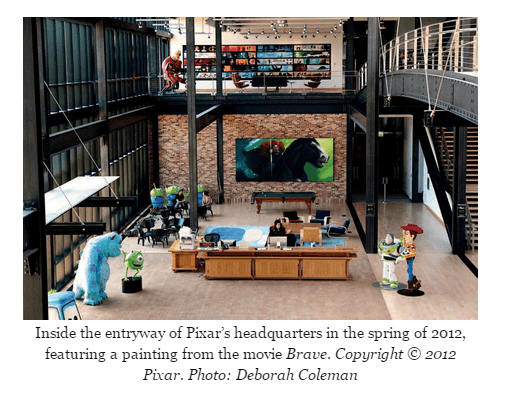 Pixar has daily meetings where employees show their work to others and receive feedback. Research trips are excellent for inspiration and even better for keeping one original. They allow people to generate new information and prevent things from being simply derived from other ideas. They can be as simple as a tour of the city to get inspiration for a new character or a distant trip to India to meditate. Set boundaries to know when to stop working on a project and complete it. Setting a threshold will help prevent overwork or unnecessary work, as projects can never be perfect. 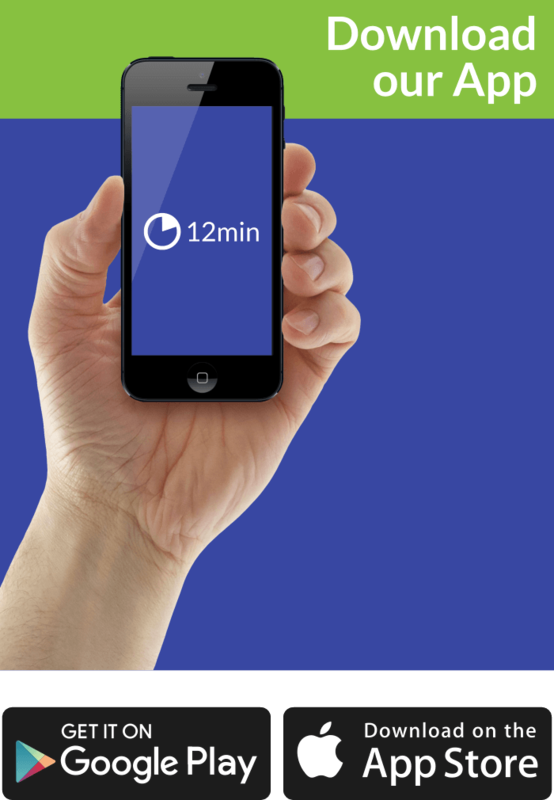 It will also help make better use of limited time features and give you a better chance of meeting deadlines. It’s no surprise that Pixar has the value of integrating art and technology, and that value can help in any creative medium. Using all the tools available will help you to produce the best possible work and also to create new tools. Small experiments work as a training ground for new techniques, allowing you to try them safely and resolve any issues before using them in real work. Learning to see things as they are, will help you ignore what you perceive about an object or situation and focus on what you really are. That helps you identify issues quickly. Questioning yourself after finishing a project allows you to reflect on what went right and what went wrong. It allows a hindsight and shows what can be done differently and what you should continue doing. Lastly, you will experience problems much more easily if you always commit to continue learning. Never become complacent with what you already know keeps you flexible and helps you advance. To maintain a healthy creative environment, you need to discuss the issues that are keeping you from moving forward. What sets Pixar apart from other creative studios is their ability to do it regularly. They find obstacles hidden in their daily operations and work to correct or remove them, preserving the perfect environment for what they do. A problem can be defined as anything that prevents you or prevents your team from being functional or anything that hinders good ideas from flowing. Pixar always looks for trouble, encouraging employees to be sincere and separating the sincerity (whose values are truth and frankness) from honesty (which only values truth). Being open about their feelings about projects, meetings, or even daily operations, Pixar leaders can have a better sense of how the company is, what works, and what doesn’t. Perhaps, Pixar’s most influential way of promoting sincerity is through a monthly meeting known as ‘Braintrust’. Braintrust is a select group of Pixar leaders who meet regularly to provide honest feedback to end mediocrity. At these meetings, sincerity is constantly encouraged, as people often want to avoid offending someone or looking stupid. In a good creative environment, ideas must flow freely to generate new projects as well as keep current projects on track. Sincerity also prevents bad ideas from moving forward, since someone is more likely to speak or suggest that these ideas will be not be implemented. By encouraging sincerity and staying alert, you will be able to find obstacles that are on the way to your success. Once you’ve dealt with them, then your creative environment will develop will once again. Every individual and every company is different, but there are some common problems that afflict the creative minds and block their natural process. Learning how Pixar handled these common problems can be very helpful in solving them. First, be aware that the human being is resistant to change. For every piece of advice found in this book, you (or your teammates) must be absolutely willing to change as the situations around you demand it. Changes are in the very nature of growth, so to move forward, you need to accept the challenges imposed on the current status quo. Another common problem occurs when a team has their focus on doing something quickly instead of doing something well. While efficient work is good, working only to meet deadlines can have several disadvantages. First, to satisfy the demand, there is a temptation to complete projects long before they are truly completed. Few creative projects seem perfect in the beginning; they need time, reflection and feedback to fully develop. Launching projects as if they were ready before they really are, can not only hurt you but also ruin what could have been a great success. Secondly, when deadlines are the main motivation in your job, it means that creating a product with quality is not. This kind of demotivation depletes a person’s creative energy, leading to poor and incomplete work. This time-focused thinking has links to another problem: the fear of failure. Anyone who is in a creative business will experience some failures in their career. Rather than being terrified by this, it is helpful to be ready to use failure as a learning experience, absorbing valuable lessons to find where the problems are and to remove them. Working simply to avoid failures is a dangerous motivator that can become a priority in your work and make you forget why you started the project in the first place. Accepting failure as an inevitable step in development will help you use it as a part of the creative process. It is already difficult to find and confront the current problems in your creative process, but what about those that do not exist yet? As we previously discussed, changes will come, be it both good and bad, for everyone. Since it is an unavoidable situation, the best thing to do is to prepare for them. At Pixar, they don’t try to predict future changes; they simply make sure that they can deal with them as they arise. To do this, they use “mental models” or imaginary views of work situations, creating a clear picture of how they will deal with things. These types of models are best explained through examples, and one of the best examples comes from Pixar’s producer, John Walker. s a producer, his job is to manage artists and costs (which he imagines being at the top of the pyramid), but the artists with whom he works and the financial funds he influences depend on people who are in a hierarchy superior to his in Pixar. This model helps Walker focus on keeping the base balanced – managing what he can control – leaving all the rest to the people above him. It helps him stay focused on his work and prevents him from wasting his energy worrying about things outside his influence. Pixar’s director, Pete Docter, uses a dark tunnel model to describe his creative process. He believes there is light at the beginning of the tunnel (the beginning of the process), but as it progresses, the tunnel can become quite dark. It may seem that there is no more light, but when you reach the end of the tunnel, the light will return. Docter uses this model to remember that the best thing to do when you’re out of creativity is to keep working. Walker’s and Docter’s mental models may be very different, but both have the same purpose: to help them react to future changes. If John Walker’s team of artists undergo a drastic change, he knows what is under his control and what is out of his hands. When Pete Docter can’t conceive a vision for a scene, he knows he should not give up, because he will resolve it if he keeps trying. Creating mental models may seem useless at first, but when done right, it works like an armor that can be used to protect you from anything that comes your way. 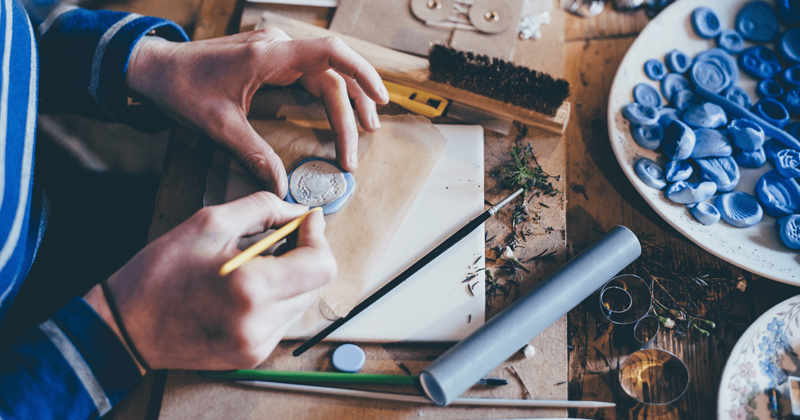 A creative culture is more than simply having fun in the workplace or decorating a table. These things can contribute, but the true power to restore the creative process is in mind. It’s a matter of changing how you think, and work to remove obstacles that are in the way of your natural creativity. For a person, this is laborious, and if you work in a group or a company with several other creative people, it can be even more difficult. Mentalities are difficult to change, and it is difficult to get rid of habits, but with time, positive changes can happen. Ed Catmull faced the challenge of trying these methods in new environments in 2005, just weeks after co-founder Steve Jobs revealed that he was considering a merger of Pixar and the Disney Animation Studios, which at that time was experiencing difficulties. Disney and Pixar worked together for years, but now Disney was in decline and needed help. When the merger happened, Catmull and John Lasseter were in a leading position. Pixar’s unique leadership style would soon become part of Disney. Pixar’s work culture was built gradually, created especially to help the animators at every stage of the company’s growth. At Disney, Catmull and Lasseter did not try to replicate exactly what had worked at Pixar. Instead, they used the basic principles they had learned as a guide. They fired executives who were causing problems and who refused to be flexible, gave Disney employees more freedom to experiment and work together, and encouraged honest communication between leadership and employees. The changes were great, but they did not change the identity of Disney. The principles in this book are just principles. If you try to simply copy the success of Pixar step by step, it will fail. But if you use the principles found in this book as a guide, you will find success in your creative process. Like time and money, your creativity is a precious resource that needs to be stimulated. Like any other feature, that means you can not just let it go and hope it does not end. It takes careful cultivation and the right environment to keep it flowing, as well as a concentrated effort to make sure nothing gets in the way of your creative process. If you do not, you risk leaving your creativity to the vagaries of chance – a troubling situation for any creative professional. Be successful, and you will find that your imagination has no limits. Pixar’s story is more than just an inspiring tale of innovative people who wanted to create things the world has never seen. It’s a journey of discovery, error, and success spanning more than 25 years and involving some of the most creative minds movies have ever seen – with lessons, many lessons. Pixar’s culture is known for being open and entertaining, but what makes them successful is not dance classes or lunch spaces, nor the toys at the tables. It is a commitment to protect the creativity of every employee who sits at a desk to work. What makes them different is the dedication to finding and ending the problems as well as preparing for future problems by helping their employees impress everyone in the cinema countless times.